This Standard establishes the principles and practices that are applicable to a Phase I ESA. It is intended to provide a consistent framework and minimum requirements for conducting Phase I ESAs that can accommodate broader regulatory and liability requirements, as well as address pertinent site-specific requirements. This framework involves preparing for and undertaking an investigation and interpreting and reporting on the information gathered. This Standard may be used prior to using CSA Standard Z769. 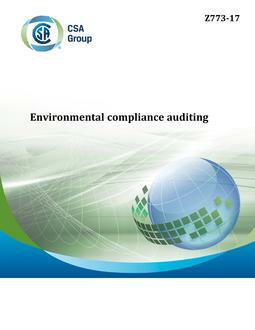 This Standard does not apply to environmental auditing or environmental management systems, which are addressed in separate CSA Standards. This Standard does not involve the selection or implementation of any measuring, sampling, analytical, or remediation activities. 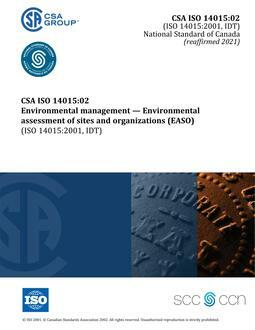 Such activities may be included in Phase II and additional ESAs as applicable. In this Standard, #shall# is used to express a requirement, i.e., a provision that the user is obliged to satisfy in order to comply with the standard; #should# is used to express a recommendation or that which is advised but not required; and #may# is used to express an option or that which is permissible within the limits of the standard. Notes accompanying clauses do not include requirements or alternative requirements; the purpose of a note accompanying a clause is to separate from the text explanatory or informative material.